Lymphatic Filariasis is a debilitating parasitic disease that is spread by mosquitoes that are infected with the worm Wuchereria Bancroft. Lymphatic Filariasis, is also commonly known as elephantiasis. Filariasis is not transmitted by direct human-to-human contact. 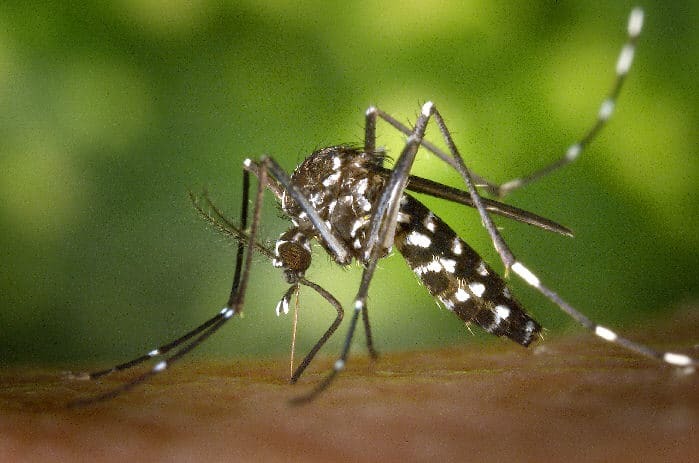 It is spread through the bite of infected mosquitoes in the following sequence. When a mosquito bites a human to take a blood meal, immature parasitic worms known as microfilariae, are deposited on the surface of the skin. These microfilariae are so small they cannot be seen without magnification. The microfilariae enter the skin and find their way into lymphatic vessels. Infection is usually acquired in childhood, but the painful and profoundly disfiguring visible manifestations of the disease occur later in life. 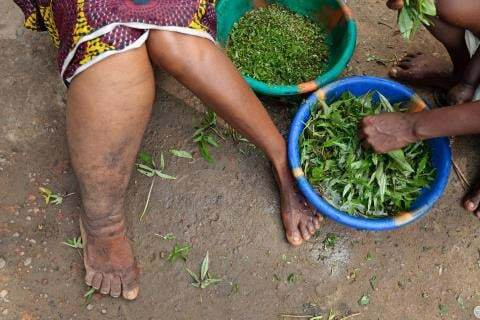 Whereas acute episodes of the disease cause temporary disability, lymphatic filariasis leads to permanent disability. More than 1.3 billion people in 81 countries are at risk.Currently over 120 million people are already infected, with more than 40 million incapacitated or disfigured by the disease. Approximately 65% of those infected live in South East Asia. There are seven stages of filariasis progressing ranging from stage 1, which is slight swelling, to stage 7 in which the individual is severely disabled. Swelling, which can affect almost all body parts, is the first symptom of this condition. The very large swollen leg with folds of tough skin is characteristic of the later stages of the disease. This stage is commonly known as elephantiasis. In stage 6, knobs and mossy lesions that cause the swollen feet and legs to look almost like a tree trunk are present. By stage 7, the individual is no longer able to care for himself. This condition can be cured, or prevented, through two major drugs that are used to kill the microfilariae in the blood. These medications are diethylcarbamazine (DEZ) and ivermectin. A single dose of this medication kills microfilariae and keeps the blood free of them for up to a year. This prevents the spread of the disease but does not cure the infected individual. Annual treatment must be continued for 5 to 10 years or until all of the adult worms within the individual have died. Another way to eliminate filariasis is for everyone in an affected community to use salt that is fortified with diethylcarbamazine (DEZ) daily. When this fortified salt is used, instead of regular table or cooking salt, everyone gets a small dose of the medication every day. These small doses are enough to clear the blood of microfilariae.